Wardrobes are essential in any home, but now the choices are limitless. We can supply and install a range of wardrobe doors for you, including aluminium framed or timber framed, with your choice of timber, frosted glass or mirrored inserts. 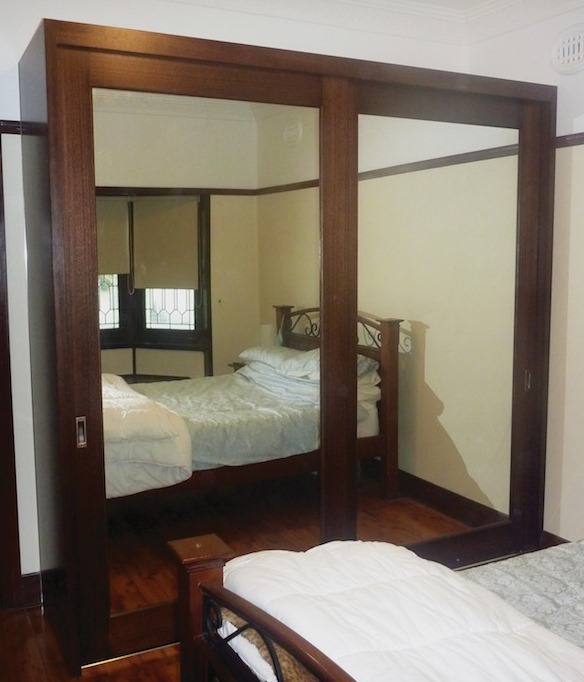 Aluminium framed doors are available in a mirror, laminated board, or frosted glass finish. This type of wardrobe is perfect for odd sizes openings where standard doors cannot be used. We custom make every set to your exact opening size, and can either supply you a kit comprising of doors, top and bottom tracks and side jambs, to install yourself, or we can supply and install. Timber framed wardrobe doors are a great statement piece in your home. 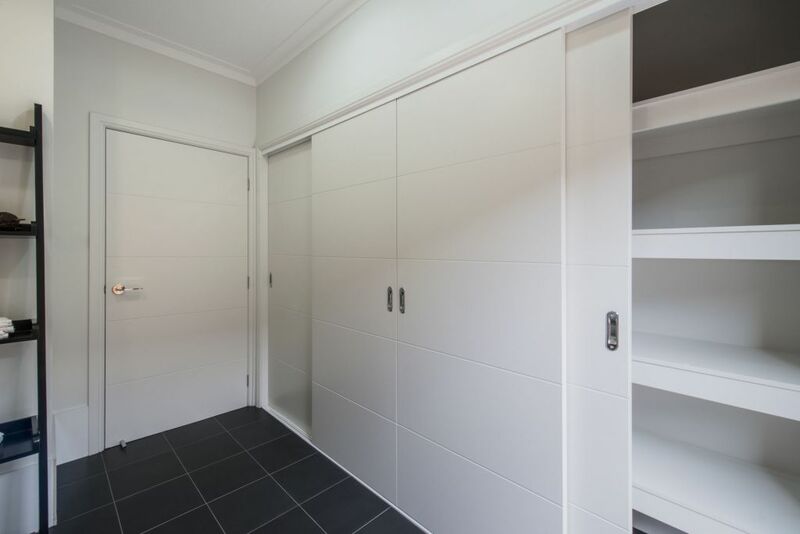 These wardrobes are custom made right here in Townsville. 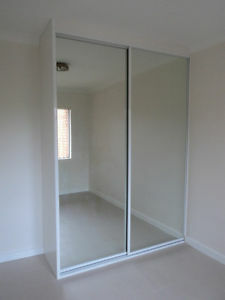 You can choose from timber panel inserts, glass or mirror to give you a completely unique wardrobe at a reasonable price. These doors can be painted or stained to compliment your existing furnishings. Hume Doors’ Smartrobes are a wardrobe door system featuring aluminium top and bottom tracks and two smooth running nylon wheels fitted into steel casings in the bottom of each door. 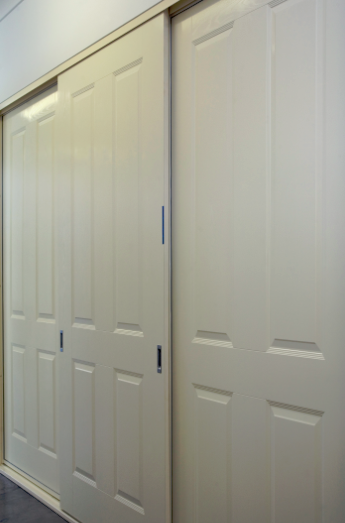 Doors from the Hume Doors internal doors range, in various sizes can be used depending on the opening size. If you already have Hume doors in your home, you can coordinate your wardrobes to match with existing internal doors. Optional timber finger grips run full length on each door edge, with height adjustment in the edge of the door. Prices start from $399 incl gst (supply only to suit an opening 2115h x 1770w, Flush paint grade hollowcore doors) Includes timber jambs, top and bottom tracks and 2 doors with pre-fitted wheels. Prices start from $470 incl gst (supply only to suit an opening 2115h x 1770w, Hume moulded panel range doors) Includes timber jambs, top and bottom tracks and 2 doors with pre-fitted wheels.